Brown and Black bears are all over the northern region of Ontario that I live in, but since I live in the city, the only bear I see is on the Big Bear sign from the convenience store. That's not the B I have in place to discuss, no, with BEA (Book Expo America) going on, all I can think about is books. It doesn't help as I sit in my home office writing this I am surrounded by them. I mean, they consume me!! See for yourself! This is the bookshelf filled with my faves. My personal collection. These books I still need to read. And this is my closet shelf. It has all my signed copies and audiobooks. FYI: I consider my signed copies to be so valuable that they get put away from eyes who may ask to borrow them. It would kill me to lend one out and not get it back. Sad, but true. So now you know what a book junkie I am, and how bad my addiction is, what would you prescribe?? DISCLOSURE: No compensation was received for this post. Opinions are 100% owned by Freda's Voice. I would prescribe 'keep on reading!' who doesn't like to read? although I think your TBR list is way too long but it's a good thing. at least you won't run of books to read. coming from alphabe-thursday. hope you have a great day. Agree - keep on reading! Can't think of anything more enjoyable! You have as many books as our public library. I'm impressed. One of my pet peeves is loaning a book to someone and not getting it back, especially a signed, hard cover book. I don't lend books anymore for that reason. My TBR pile is almost as big as yours! It's a lovely addiction, isn't it? :)my prescription - more books! My late father had a vast library. It's his fault that I became addicted to Poe. I love books, too! and yes, they overflow! I think I would prescribe a nice cozy sofa, with a soft blanket on a cool rainy day... SO you could read another book! You do know that only brilliant people love books that much, right? 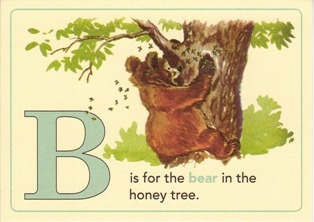 Lovely post for the letter B.